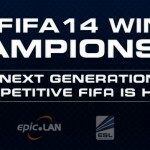 Are you looking to attend epic.TWELVE between Friday 14th and Sunday 16th February 2014 at the Kettering Conference Centre to take part in our FIFA 14 tournaments? Then we have all the information you require to attend including tickets, accommodation, travel and importantly how to sign up to our tournaments. Get your tickets and get yourself signed up here to be a part of your Next Generation of Competitive FIFA! Sweetpatch.TV in partnership with ESL UK and Mad Catz UK bring you the FIFA 14 Winter Championship kicking off at the home of epic.LAN, Kettering Conference Centre featuring a weekend of FIFA 14 action. 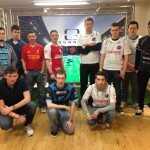 The whole Sweetpatch.TV crew will be out in full force, fielding a weekend of awesome FIFA 14 competition, including the kick off of the FIFA Masters Series 2014. More prizes and sponsors to be announced in the run up! Also, for the first 5 players to send me their epic.TWELVE booking email, you will receive a copy of Forza Motorsport 5 IGN Car Pack.